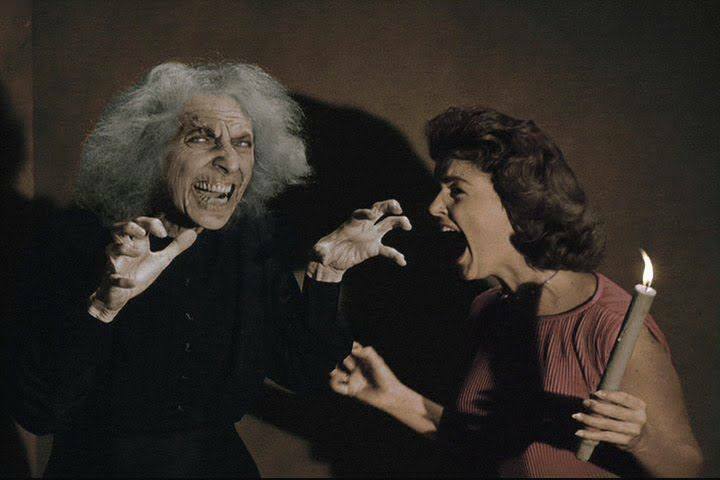 William Castle, Can You Help Me Now? So there I was, groping for a brain cell left alive in my head to make at least a Non-Sequitur Thursday post. Nothing was happening. 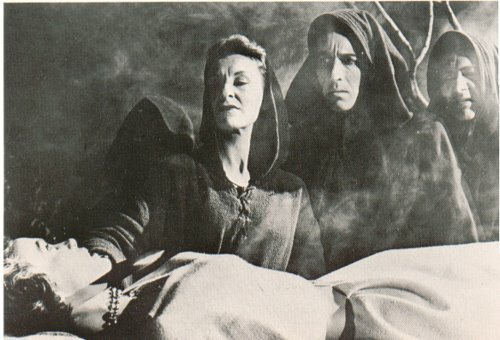 In desperation I went to Facebook to a page about William Castle: Godfather of Schlock and downloaded a few pictures. This could work. 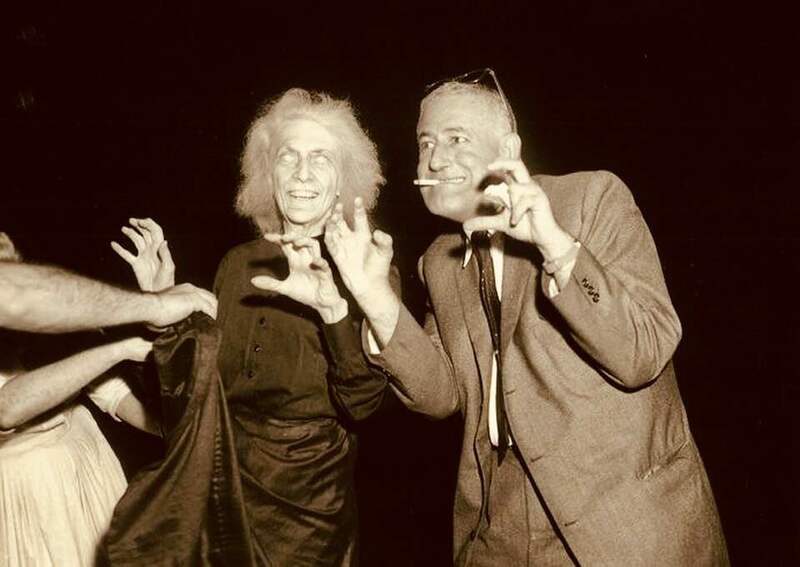 I love William Castle, producer of such classics of House on Haunted Hill (1959) and Straitjacket (1964). I wonder when I will have time to sit down and watch movies again. I have rehearsal again tonight. In fact, I should probably be studying my lines instead of typing in what I am afraid is turning out to be a singularly foolish blog post. Maybe I could just relax and have a piece of cake. Nah, that would mess up my slow progress toward my weight-loss goals. If I could get somebody to chase me with an axe, I would be motivated to start running again. Just a suggestion. He was a great director. 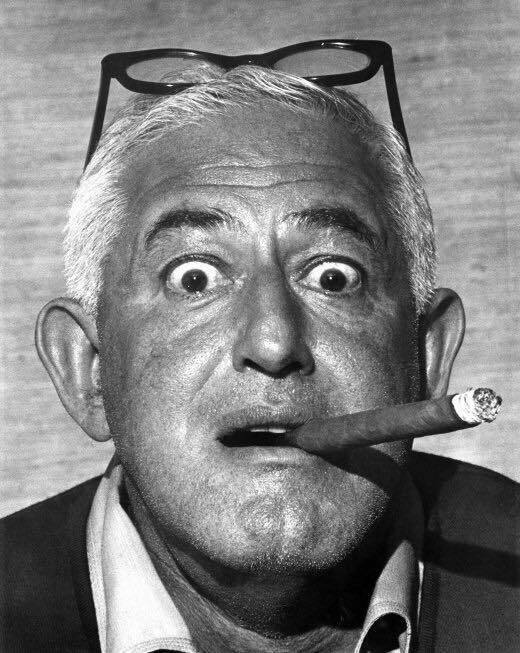 Full disclosure: I have not seen all that many William Castle movies. I’ll have to work on it. 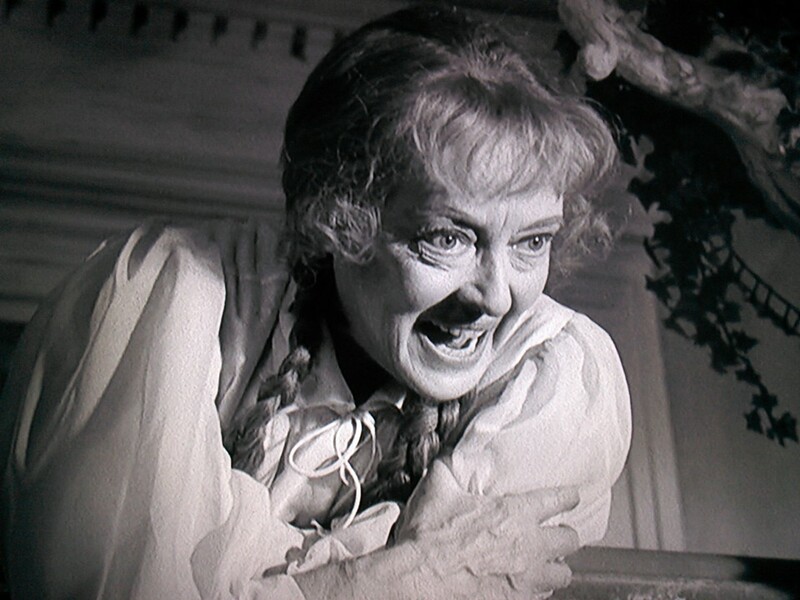 Posted in humor, Non Sequitur Thursday, personal and tagged blog post, blogging, cheesy horror movies, entertainment, foolish post, House on Haunted Hill, Joan Crawford, lame post, Straitjacket, Vincent Price, William Castle. Bookmark the permalink. I have not watched enough movies for a proper Cinema Sunday, yet I am having too good a time for a real Wrist to Forehead Sunday. Not an unmitigatedly wonderful time, mind you. But let us not dwell on the negative. 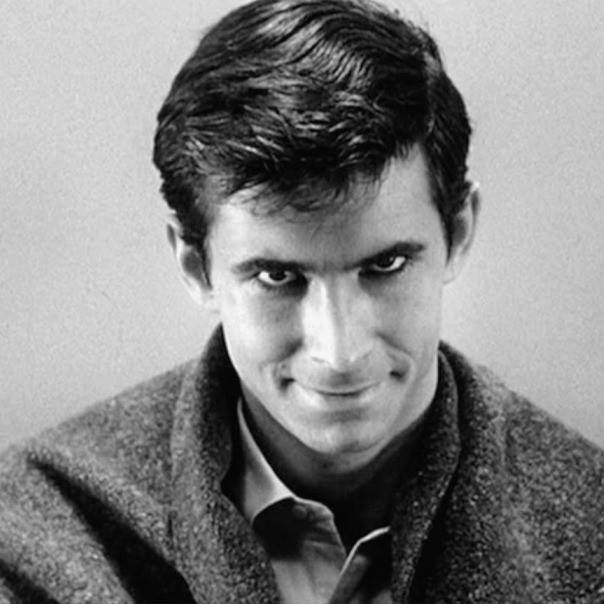 We just watched Psycho (1960). For being so popular, I must say it is one of my least favorite Hitchcock movies. It is so ponderous. It is a pretty creepy stare, no? However, it is an entertaining enough flick. We enjoy it once in a while. 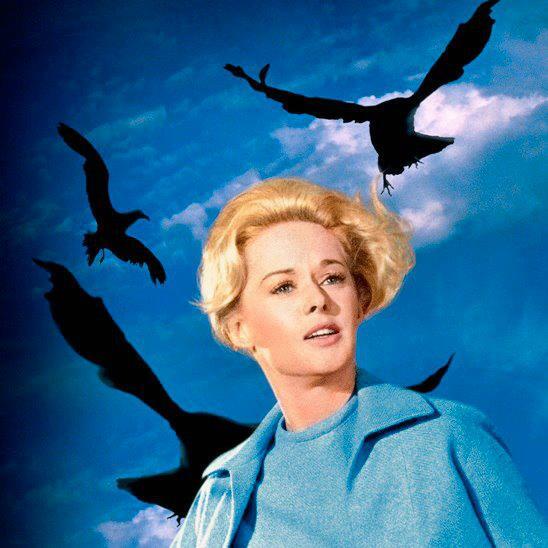 I wanted to watch The Birds (1963), because this morning, a veritable horde of birds was making a lot of noise in our back yard. A few were flying around, but most were perched in the tree just behind our deck. They were luckily quiet when I left for the grocery store later on. The birds I saw this morning were not so large. But rather than watching another movie, I want to watch the new episode of Snapped, which I am in fact missing as I type this. I couldn’t find my Snapped logo in my Media Library, so I just went to their Facebook page and looked for a Snapped picture. This was the first one I saw. And now I see I am over 200 words. Score! 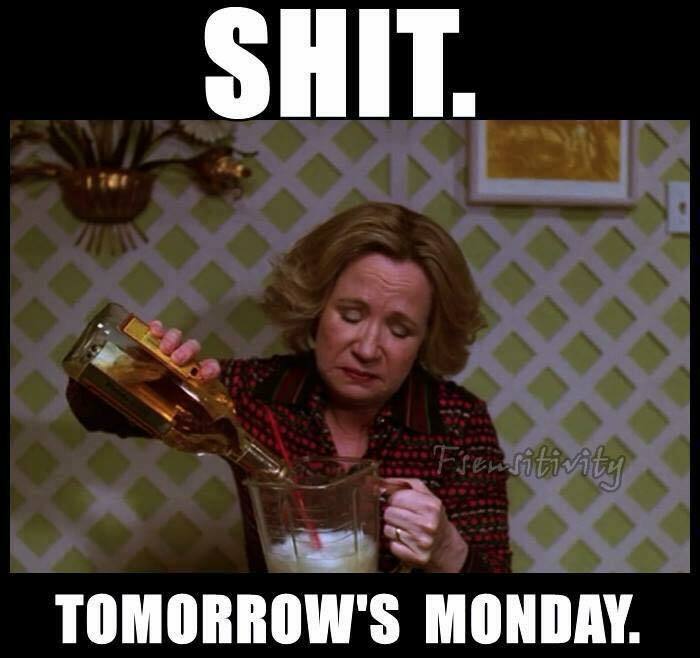 And I am making Sunday’s post ON Sunday (Freudian typo: I first put “Sinday”). Can I have broken the habit of late posts? Time will tell (time is certainly a blabbermouth). Posted in humor, personal, Wrist to Forehead Sunday and tagged Alfred Hitchcock, blog post, blogging, entertainment, movies, psycho, Snapped, Sunday Cinema, The Birds. Bookmark the permalink. It’s that sad moment when I do not even feel up to making a Friday Lame Post. I just sat here, alternately scrolling down Facebook and staring at a blank WordPress Add New Post page, and I really, truly, got nothin’. I thought if I opened with a picture of Noseratu (1922), it might spark something. So far, not much. However, I am up to 50 or so words, so that’s something. Quick: which one is me? 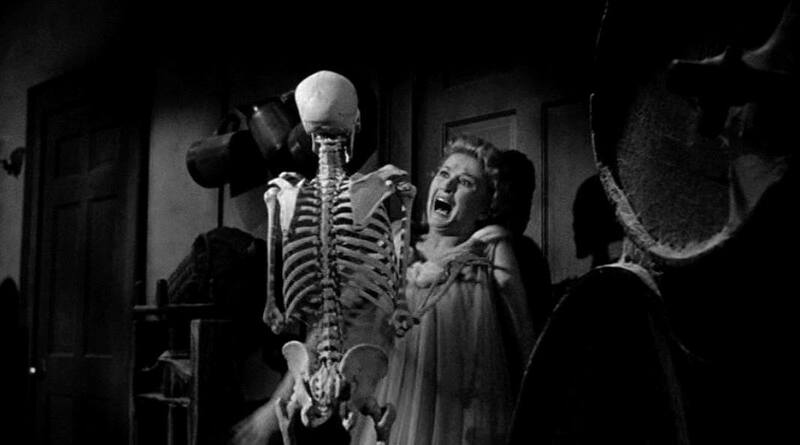 I throw in a pic from House on Haunted Hill (1959), just to keep the picture-and-nonsense theme going. 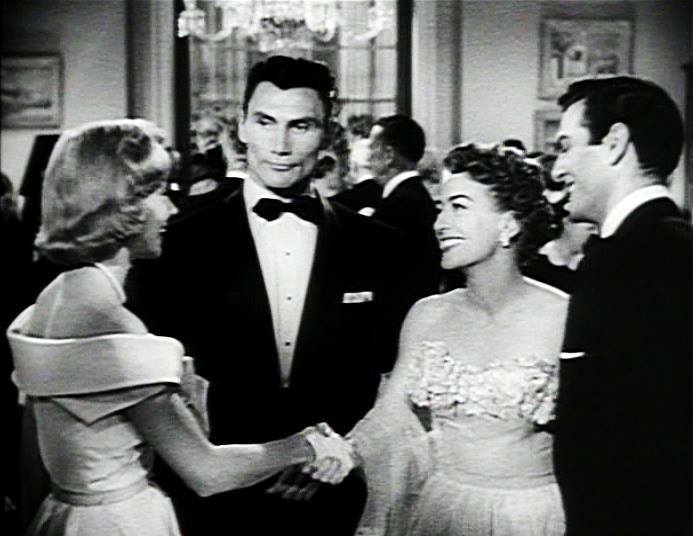 We do love House on Haunted Hill. 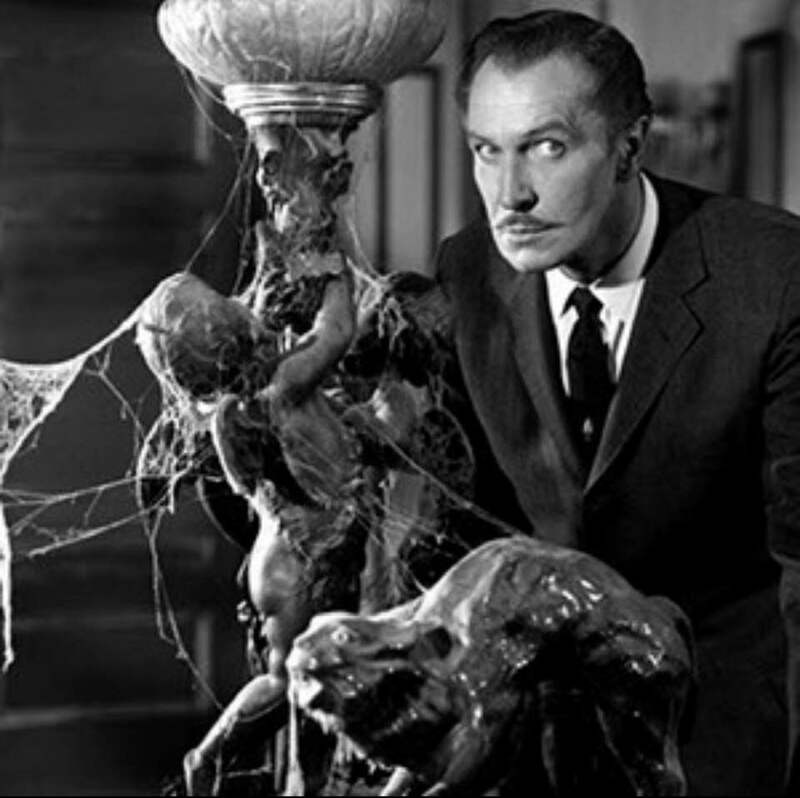 William Castle, Vincent Price, what’s not to like? I’m a little cleaner that this chick, at least. Carrie (1976) is a bit more graphic than either Nosferatu or House on Haunted Hill, but I include the picture, because I feel just about as stunned as Sissy Spacek looks in this shot. This is one reason that Lame Post Friday is looking increasingly like Monstrous Monday. How mortifying. I can’t even think of a good headline incorporating the word “lame.” Maybe if I add one more monster picture, something will come to me. So why am I NOT howling? Yes, what is it with me? 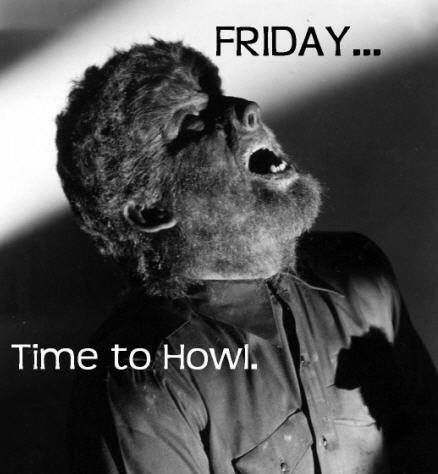 Friday night, and I’m not howling. I’m not out partying heartily till the wee hours. Is this what getting older is like? Damn! Then again, if I stop trying to type something entertaining (or at least) coherent into my blog post, I can sit here with my knitting, and perhaps my Friday will become a little more enjoyable. In the meantime, thank you for tuning in, and I hope to see you all for Saturday’s post, whatever it turns out to be. 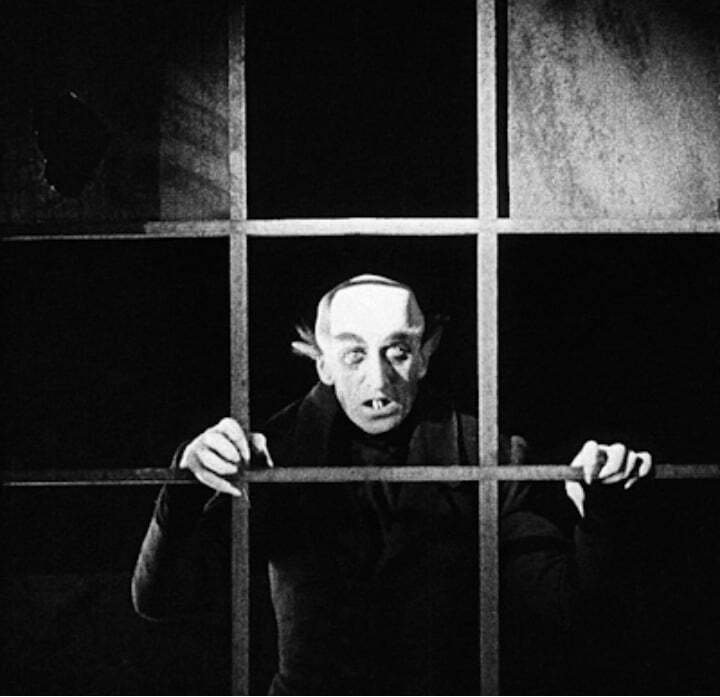 Posted in humor, Lame Post Friday, personal and tagged blog post, blogging, entertainment, Friday night, House on Haunted Hill, lame post, Monstrous Monday, movies, Nosferatu, not writing, party, party heartily, writing. Bookmark the permalink. Hello, and welcome to another Wrist to Forehead Sunday. I am tired and discouraged, but there is no point in going on about it. For one reason, somebody is sure to point out that other people have way worse problems than mine and I should just be grateful that… something or other. I hate it when people tell me to “just be grateful that –” I’ll be grateful when I’m good and ready! Right now I’m complaining! Only right now I am trying not to complain but to make a half-way decent blog post (cue jokes about the usual quality of my blog posts). I was going to do my usual Sunday Cinema; we started the movie watching portion of our day shortly after noon. However, I cooked an actual Sunday dinner and we put the television on Snapped while we ate. It’s still on, but the current episode is one I’ve seen more than once. Maybe I can mention the movie we did watch and list a few others we might watch next. After I hit Publish. Doesn’t it look mysterious and spooky? 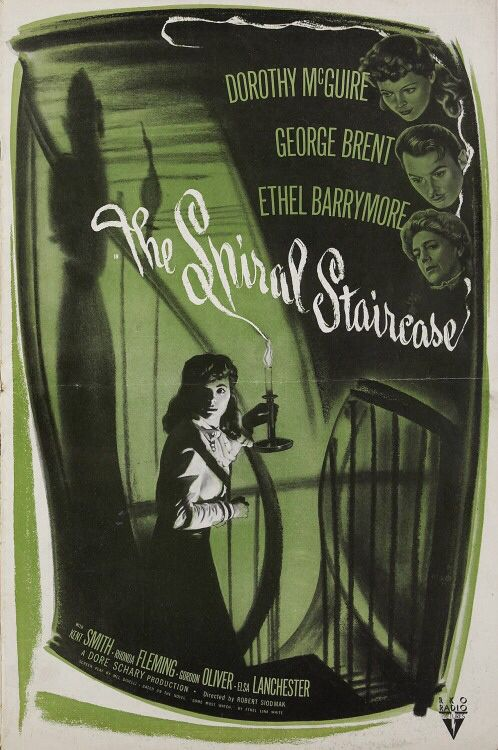 We wanted something scary but one we had not seen recently, so I suggested The Spiral Staircase (1946), which we have on VHS (just to show how old school we can be). I was hoping to find a picture with Elsa Lanchester, but her part isn’t all that big. Still, we love Elsa Lanchester, so I suggested we have an Elsa Lanchester film festival. 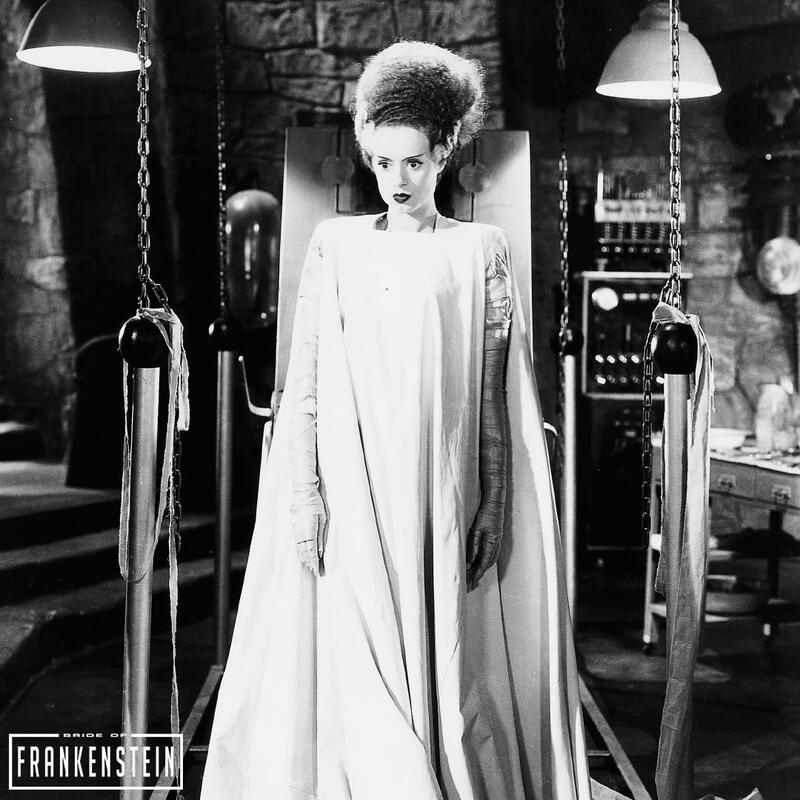 We could continue the spooky theme with Bride of Frankenstein (1935). I should have had such a ‘do on my wedding day. 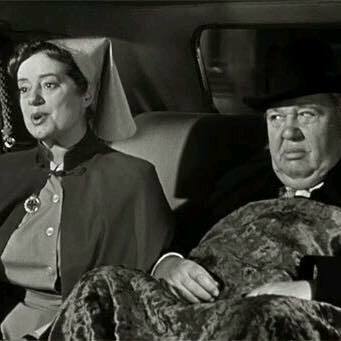 After that, we could watch Witness for the Prosecution (1957). Elsa Lanchester’s role in this film is neither in the short story nor the stage play, but she is the best character in the flick. This is also Bride of Frankenstein. Isn’t she pretty? That is the picture I was looking for when I mentioned Bride. I got tired of scrolling and looking through my Media Library so used the other one. Then I found it when I was looking for the next picture. Just a little insight into my blogging methodology. Spoiler alert: He doesn’t murder her. Next we might go color with Murder By Death (1976). That is a star-studded romp, and the first video I ever gave Steve, back when we were dating. We have it on DVD now. Well, we won’t have any time to watch any movies if I don’t finish this post and hit Publish. At least I’ve typed myself into a better mood. Happy Sunday, folks! Posted in humor, personal, Sunday Cinema, Wrist to Forehead Sunday and tagged blog post, blogging, Elsa Lanchester, entertainment, movies, Murder by Death, The Bride of Frankenstein, The Spiral Staircase, Witness for the Prosecution. Bookmark the permalink. I tear my eyes away from the television screen to make a Sunday Cinema post. It is my dear husband Steven’s birthday, and we have spent the day enjoying each other and a few movies. However, blog posts must be made (that is, my blog posts, by me, and daily; others may follow their own rules of course). We started with Bird Cage (1996), at Steven’s request. I love that movie, too, although any Robin Williams movie will be forever bittersweet since his untimely death by suicide. I apologize for the serious note in a blog that bills itself at “totally fun,” although I confess I am not really sorry. I think this is a merry moment off camera. 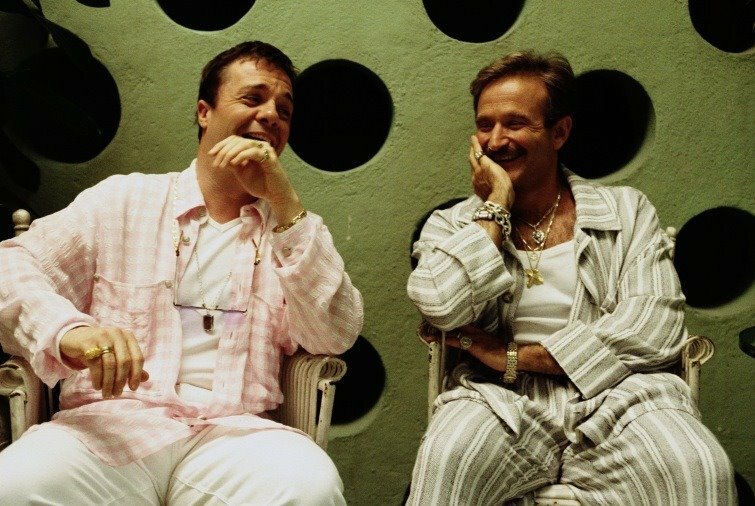 I looked for a good picture of Williams with Nathan Lane in drag, but the best I could find was one of them laughing together. I like that, though. Laughing together is one of the joys of life. After Bird Cage, I suggested another favorite of ours, Being Julia (2004) with the divine Annette Bening. 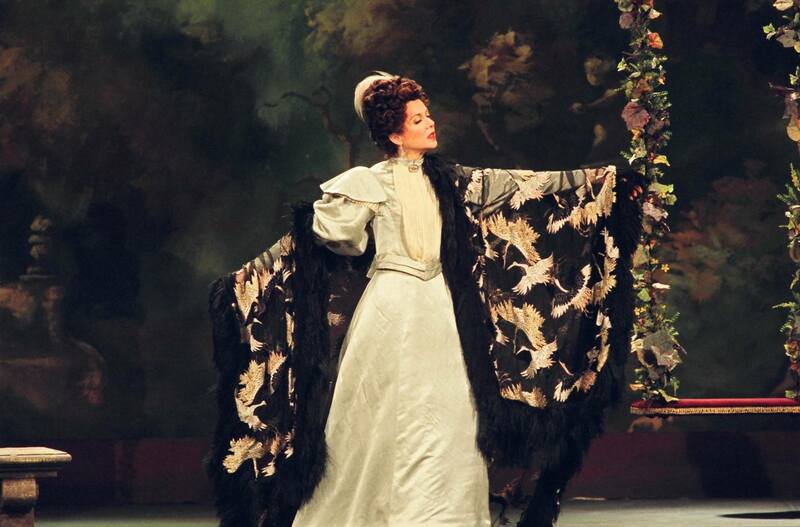 It is based on one of my favorite novels, Theatre by Somerset Maugham. It is really an excellent adaptation. I can see where each change is necessitated by the difference in medium from page to screen. Alas, I think my copy of Theatre was lost in the flood of 2013 (my stupid fault for leaving books in the basement, which I KNEW I should not have done) (but I digress). She is marvelous, yes, and I would LOVE a cape like that! 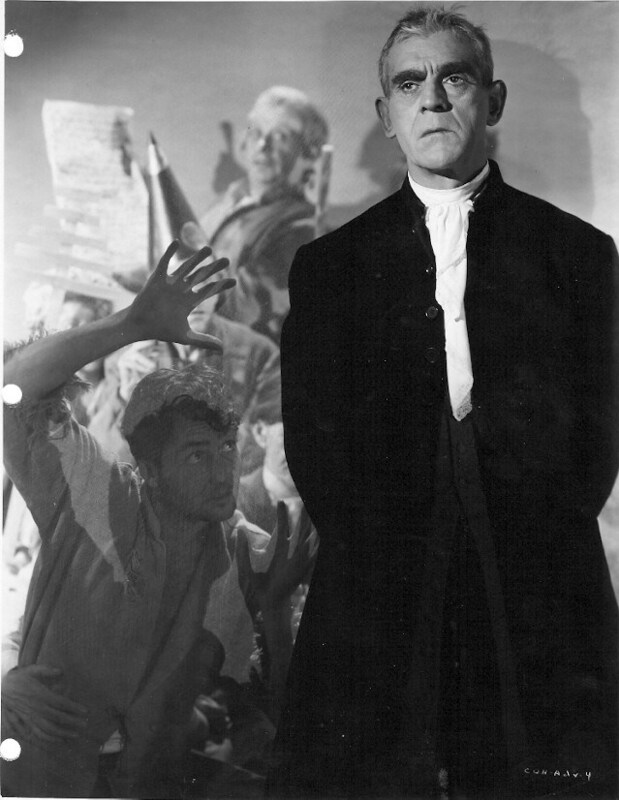 Next I suggested Bedlam (1946) with Boris Karloff. 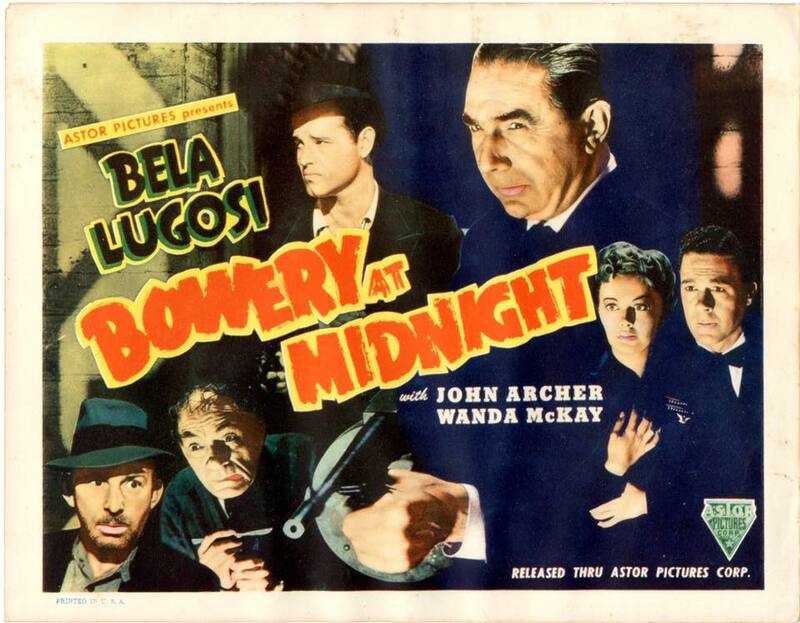 While looking for the DVD (it is not with our main collection for some inexplicable reason) (I think Steven is responsible) (but I digress), I came across The Bowery at Midnight (1942) with Bela Lugosi. Lugosi or Karloff, I thought, let’s go with an old time monster movie guy. Quite frankly, the poster is more exciting than the movie. Bowery was not the thrill we were hoping for. It had its moments, but it moved kind of slowly. We were happy that I found Bedlam to put in next. Even without the Frankenstein monster make-up, he is a creepy guy. I wrote about that movie in a post some time ago. Steven did not remember watching it, but when we watched it again, he remarked that it is a very good movie. It has a good plot, with a good lesson. I do like a story that teaches a lesson. I might like to write a blog post one day that teaches a lesson. Do I know enough or even act well enough myself to presume to teach anybody a lesson? That sounds like a subject suitable for some half-baked philosophy on Lame Post Friday. Why, that’s days away! I’d better not think about that, or this will become Wrist to Forehead Sunday instead of Cinema Sunday. I’d better get back to my movies. Happy Sunday, folks. Posted in humor, personal, Sunday Cinema and tagged Annette Bening, Bedlam, Being Julia, Bela Lugosi, Bird Cage, blog post, blogging, Boris Karloff, entertainment, movies, Nathan Lane, Robin Williams, Somerset Maugham, suicide, The Bowery at Midnight, wrist to forehead. Bookmark the permalink. For me it’s wine, not the hard stuff. Yes, it is Wrist to Forehead Sunday. 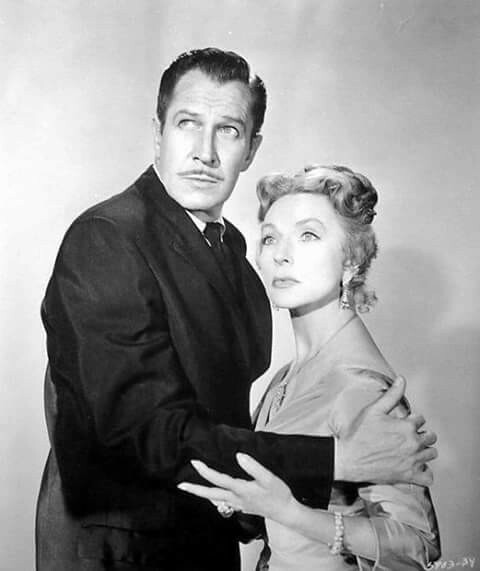 I am supposed to be watching The Bat (1959), a movie featuring Agnes Moorehead and Vincent Price. 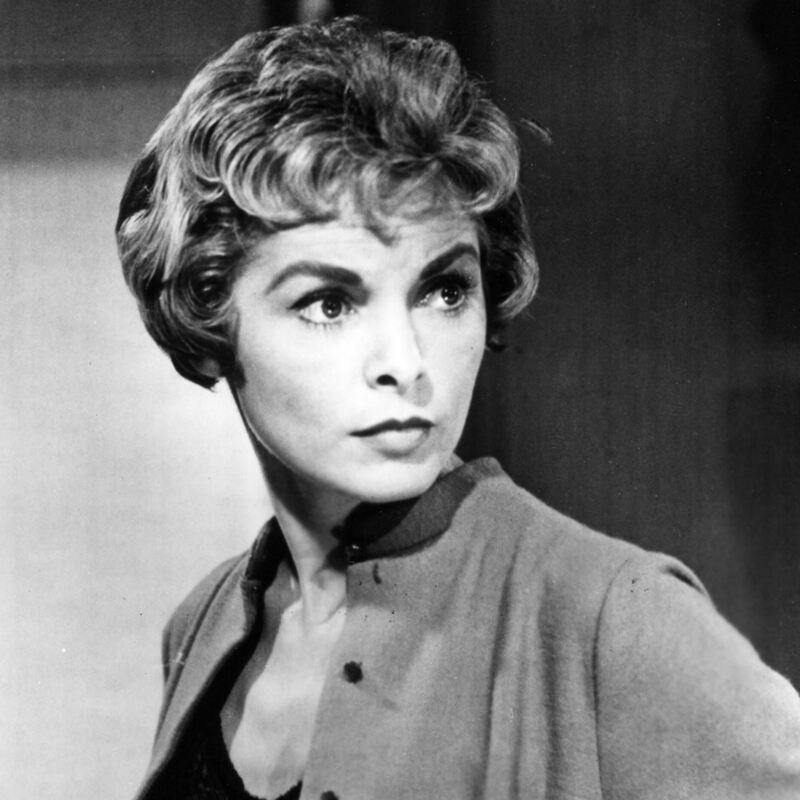 We previously watched Hush… Hush, Sweet Charlotte (1964), which also featured Moorehead, which is what made me think of The Bat. I do not think this pose actually appeared in the movie. The divine Bette Davis. There could be no possible objection. Yesterday I was going to do a Saturday Cinema, but my laptop would not cooperate. Perhaps I could type a few words about that now, so the whole post won’t be me whining about the weekend being almost over. This was the only picture I could find just now. 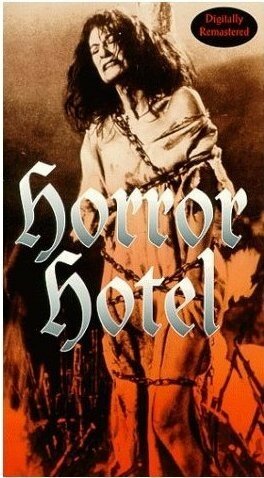 We watched Horror Hotel (1960), also known as City of the Dead, last evening. It was really more of a village, truth be told, but I don’t decide on these titles. This was just the first photo of this movie I found in my Media Library. After Horror Hotel, we saw House on Haunted Hill (1959), mostly because it was on the same disc. We love House on Haunted Hill, another delightful vehicle for Vincent Price. And now I am looking at Snapped. Steven will be watching the Oscars later, which he has been tuning in to for some 50 years. I may go to bed early. I see I am over 200 words, which I consider respectable for a Wrist to Forehead Sunday. I hope your weekend was grand and your upcoming week not too gruesome. HERE’S the picture from Horror Hotel I was looking for! 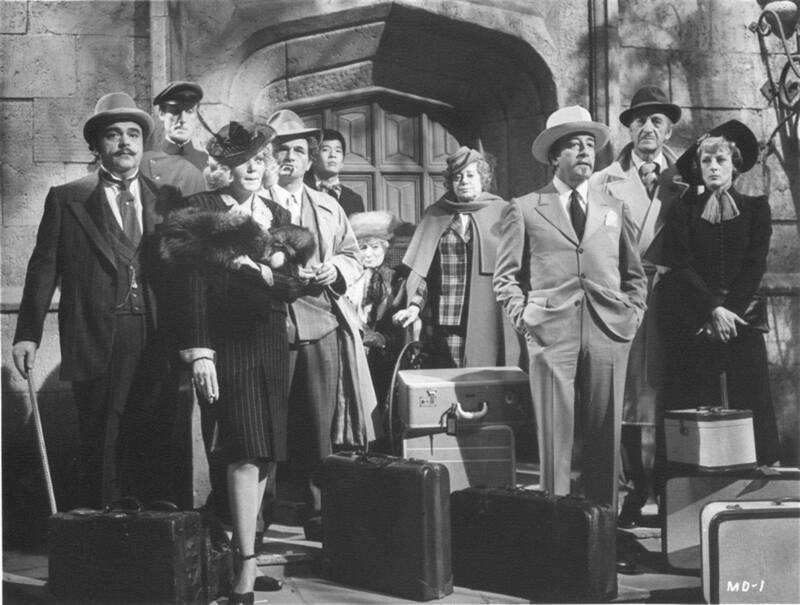 Posted in humor, personal, Wrist to Forehead Sunday and tagged Agnes Moorehead, Bette Davis, blog post, blogging, cheesy horror movies, City of the Dea, entertainment, horror hotel, House on Haunted Hill, hush hush sweet charlotte, movies, The Bat, Vincent Price. Bookmark the permalink. Full disclosure: I had some Mohawk Valley adventures on Saturday that I could have written about. But I wanted to to a Sunday Cinema post so we started watching movies. Unfortunately, we are only on the second movie of the day and I want to make my post before it gets any later (when one gets up for work at 3 a.m., it gets late early). We started out with Alfred Hitchcock’s The Birds, one of our favorites. I won’t say it is a cinematographic masterpiece, but it is highly entertaining with excellent effects, especially for the time. I’ve named a character Annie in my next murder mystery, after Annie Hayworth, the school teacher, because she is such a door mat. We debated quite a bit during The Birds as to what we would watch next. I always like to have a connection between movies. I thought of going from The Birds to Birdcage, but I wanted something darker. I thought of The Postman Always Rings Twice, which kind of has a connection because it features Hume Cronyn, who was married to Jessica Tandy, who is in The Birds. Come to think of it, on that basis, we could have gone to Rope, which in addition to being written by Cronyn, is another Hitchcock movie. But we have seen Postman and Rope recently. Moreover, I like to drink champagne when I watch Rope, and I was drinking Barefoot Pinot Noir. At last we settled on Sudden Fear. It does not connect with The Birds, but it is film noir, which goes nicely with pinot noir. 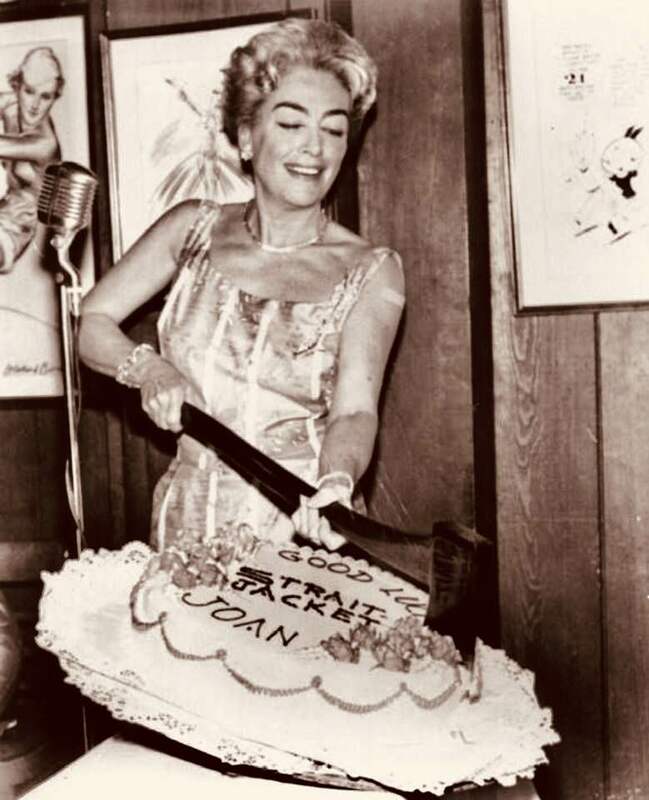 Joan Crawford, there could be no possible objection. As we watched Sudden Fear, we realized our television was getting quieter and quieter. Sometimes it does that and we do not know why. It goes back to a normal volume when we look at regular TV, so now we are looking at Snapped, my usual Sunday treat. If you are wondering about my headline, well, it is Wrist to Forehead Sunday for a number of reasons. As you have seen, I had some heartburnings selecting our second feature. Additionally, I am somewhat mortified in trying to have a Sunday Cinema post on only two features. Well, you’ll have these things when you read a silly blog like mine. I hope to write about my Mohawk Valley adventures in coming days. As always, I hope you’ll stay tuned. 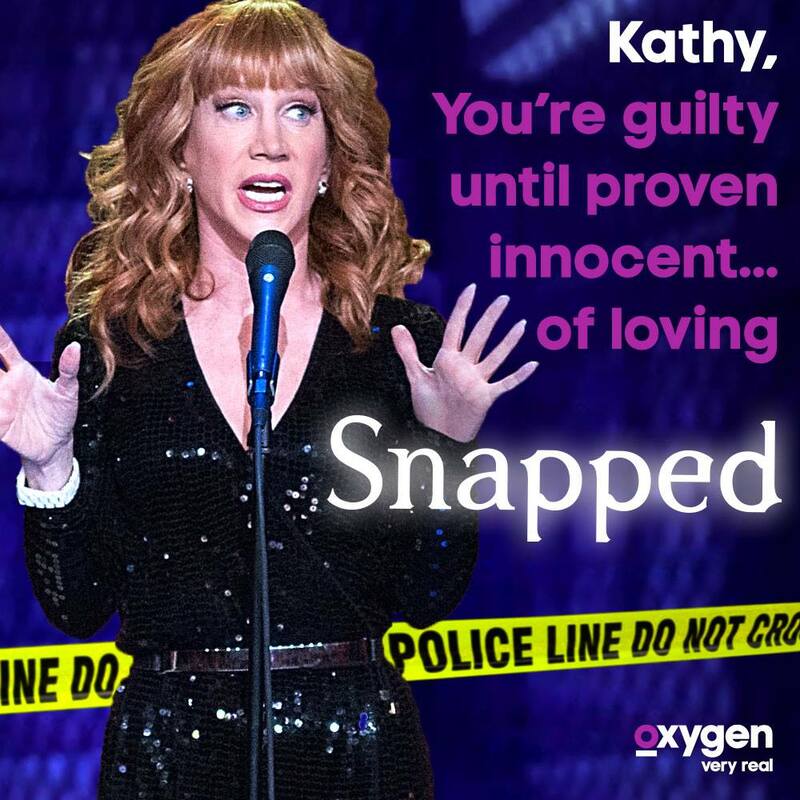 I do loves me some Snapped. Posted in humor, personal, Sunday Cinema, Wrist to Forehead Sunday and tagged Alfred Hitchcock, Barefoot Pinot Noir, blog post, blogging, entertainment, film noir, Joan Crawford, movies, Pinot Noir, Snapped, Sudden Fear, The Birds, wine, wrist to forehead. Bookmark the permalink.